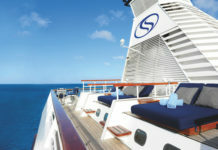 Regent Seven Seas Voyager is an all-suite, all-balcony luxury ship. 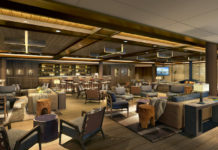 Considering her size, the amenities are surprisingly plentiful and include four main dining venues where you can dine wherever, whenever and with whomever you choose. With 447 international crew members attending to a maximum of but 700 guests, personal service is exceedingly indulgent throughout. Restaurants include Prime 7 steakhouse, Signatures french cuisine, Compass Rose, La Veranda and the Pool Grill. What is life really like on board Voyager?